How to Organise the Perfect House Removal For Your Dog? Dogs are man’s best friend, that is a well-known fact. They bring joy and laughter to the home and are always happy and ready to play. It is typical to want to provide a safe and stress-free experience for your dog during the intense home removal. You may encounter additional difficulties if you are relocating to a big city like London. 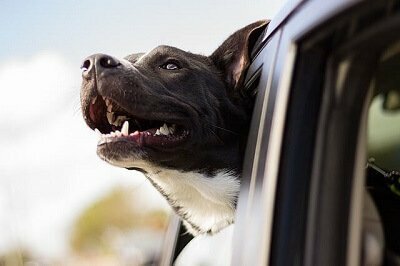 There are a few things, that you should definitely do in order to assure a safe trip and a smooth transition for your pooch. 1. Routine is essential. 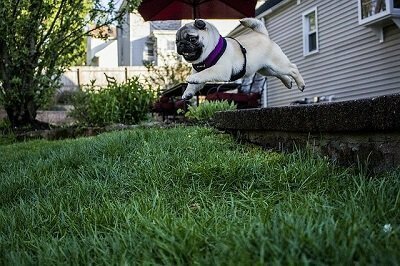 Similar to having a baby routine, the dog routine is s critical to your pet’s wellbeing. Try to keep up with your daily walks and feeding hours. Dogs can sense if you are under stress and it will become agitated. Try to control your emotions and give them as much attention as you can. 2. All dogs allowed. If you are moving to London, there are certain regulations that you must get familiar with. Make sure that you are allowed to move to the new location with your pet. 3. Visit the vet. Visit your veterinarian and explain the house moving situation. Ask for medication to boost your dog’s health and protect it from the post-move depression. Your doctor must provide you with copies of medical records containing information about the microchip number, vaccinations, past medical history. Tip for those who are renting a new home: Ask your vet for a reference to your future landlord. In it should be all medical information in addition to a behavioural profile and personal impressions concerning your pets character. This will give you an advantage when signing the tenancy agreement. 4. Safe and Sound. Prepare a quiet room for your dog where it can feel secure from the noise and unfamiliar faces of your house movers. Put there all its toys and its bed. A good idea is to place one of your unwashed shirts there as well. Your smell will calm and reassure the dog. 5. Make a visit. If it is possible, go with your dog to the new place a couple of times before the move. This way it can sniff and get to know better the smells and sounds of your future home. The stress after the relocation will be less if your dog already knows the place. The way a dog reacts to such a significant change strongly depends on its character and ability to adapt. There is always the possibility of your dog developing depression, fur loss, appetite loss or overall apathy. In these moments you have the important role, as a doggy parent, to take care and encourage your dog. Spend a couple of days in researching where are the nearest dog parks and where to find a good vet. If you have planned in advance your future house removal, the present will be way less emotional. Here are some things you can do that will have a positive effect on your dog and help it be its joyous self. 1. Garden protection. Make sure that your garden is secure and there are no holes in the fences from where it may escape. Walk it on a leash for the first few days so your pet will get to know the garden and the new smells. Let it choose its toilet spot. 2. Pet corner. Chose a room with less furniture and breakable things and create a pet corner. Move its bed and toys there, but don’t wash anything just yet. Put the trusty shirt there as well. After a week if your dog is not exhibiting any unusual behaviours, you can clean and wash everything. 3.Food and water. Give your pet lots of water and buy its favourite foods. Now is the time to give it the vitamins you purchased from the vet. Don’t be alarmed if your pooch drinks many fluids in the first days. This is normal, and it is a well-known animal mechanism for coping with traumatic situations. 4. Walks and routine. Don’t forget to strictly follow your routine. Go for walks as usual and introduce your dog to the new surroundings. Always bring water and doggy treats with you. 5. It is all about the love. Show your dog how much you love it everytime that you can. Spend time on games and cuddles, physical contact is essential when it comes to reducing anxiety and stress. If you want to learn more about relocating with your pets, check out this articleÂ Things You Need to Know When Moving in London With Your Pet.